Save time by paying your bill online. We accept nearly 200 insurance plans! If you don’t see your insurance plan on this list of the most common plans we accept, call us! There’s a good chance that yours is one of them! Easy to apply - Fast pre-approval, usually within 30 minutes. If I have a question about my bill, who should I talk to? Call (866) 512-8844 to speak with someone in our billing office. This is a toll-free number, so it won’t cost you anything to call. Will West Lakes Surgery Center contact my insurance for precertification or authorization? What if my insurance company does not authorize or cover the services I receive at West Lakes Surgery Center? You will be responsible for charges your insurance company does not authorize or cover. We recommend that you contact your surgeon/provider to discuss other alternatives to finance the services. How do I find out the estimated charges for my procedure at West Lakes Surgery Center? For an estimate of the estimated charges, please call our Billing Department at (866) 512-8844. How do you determine how much of the cost of surgery is my responsibility to pay? Most insurance companies have a contract with the surgery center that specifies how much will be paid for a particular procedure. Your policy’s deductible and co-insurance are also a factor in how much you will be expected to pay out of your own pocket. You are expected to pay your part at the time of service. If you will not be able to make the full payment at that time, please contact the billing office at (866) 512-8844 BEFORE the date of your surgery to discuss your options. Why am I asked to pay my co-payment and deductible on the day of service? In keeping with the terms of your agreement with your insurance company, as well as the agreement between the insurance company and this facility, it is our practice to request that co-payments and deductibles be paid before or on the day of service. We do our best to provide you with a comprehensive overview of your insurance benefits before you receive services. This gives you the opportunity to understand how your health insurance will be applied to the service you receive, so you can ask specific questions about your insurance benefits. This is also a good time to discuss the financial options available to you for paying any amount not covered by your insurance. A co-payment (often called a “co-pay”) is a set fee that the insured person pays to providers at the time of service. Co-pays are applied to emergency room visits, hospital admissions, outpatient surgery, office visits, etc. The fee is usually minimal. The patient should be aware of the amount of co-pay before receiving services. Co-insurance is a form of cost sharing. After your deductible has been met, the plan will begin paying a percentage of your bill. The remaining amount, called co-insurance, is the portion of the bill that the patient is required to pay. Deductibles are provisions that require the insured person to accumulate a specified amount of bills before benefits are provided. For example, if the policy has a $500 deductible, the insured person must accumulate and pay $500 out-of-pocket before insurance will pay benefits. Once a patient has met that deductible, the insurance plan usually pays a percentage of the bill. The patient is liable for the unpaid percentage. Deductibles typically cover a one calendar year, starting in January. Will West Lakes Surgery Center submit claims to my primary and secondary insurance? As a courtesy to our patients, we submit claims to your primary and secondary insurance companies. We will also do everything we can to advance your claim. However, it may be necessary for you to contact your insurance company or to supply additional information they need to process your claim or to expedite payment. An EOB, or Explanation of Benefits, is a statement from your insurance company that provides information about payment of your claim and how much of the charges you are responsible for paying out of your own pocket. Why am I receiving a bill for the total amount due for my visit? Haven’t you billed my insurance company? When we submit your claim, your insurance company typically responds by sending an “Explanation of Benefits” statement to you and to the billing department. This report details the amount of the charges that are covered by insurance, as well as any co-payments, co-insurance, and deductible that are your responsibility to pay. If you have not already paid those amounts before you received services, you will be billed for them. We were not provided with the insurance information we needed to file your claim. Your insurance company has denied your claim. Payment has been delayed because your insurance company needs information from you about any other policies you may have so they can “coordinate benefits.” If this is the case, you should receive a letter from them requesting this information and a form to fill out and return to them. If your insurance company has not responded to your claim within 45 days, you are responsible for assisting us in obtaining payment from them. You should use a payment sent to you by your primary or secondary insurance company to pay any outstanding amount due on your account with West Lakes Surgery Center. Either deposit the insurance check and send our billing department a personal check, or forward the insurance check to our billing department as soon as possible. You will continue to receive a monthly statement until your bill is paid in full. 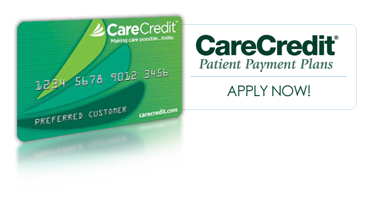 By telephone with a credit or debit card by calling our billing department at (866) 512-8844. By mail by sending your billing statement and payment (by check, credit card or debit card) to 2733 E. Battlefield Rd., #123, Springfield, MO 65804. In person at West Lakes Surgery Center, by cash, check, credit card, or debit card. Why did my insurance company receive three different bills for my surgery? One bill represents the amount charged by the surgery center for use of the facility. Your surgeon and the anesthesiologist will each bill your insurance company separately. It looks like my insurance company was double-billed! What’s going on? The line items on surgeon’s bill and the surgery center’s bill will look much the same on the “Explanation of Benefits” statement you receive from your insurance company, but this doesn’t mean that your insurance has been “double billed.” Note that the amounts each have billed are NOT the same—the surgeon has billed his or her professional fee for performing each procedure, and the surgery center has billed its fee for providing the facility where each of those procedures took place. Yes, we realize that it all looks very confusing. If you have questions, just call our billing office at (866) 512-8844—we can walk you through it! If you have received a refund check from us because you have either paid too much on your account and/or your insurance company paid at a later date and covered some of what you have already paid. If you feel that you have received a refund in error, please contact our billing department at (866) 512-8844 during normal business hours. Please contact our billing department at (866) 512-8844 to set up payment arrangements.